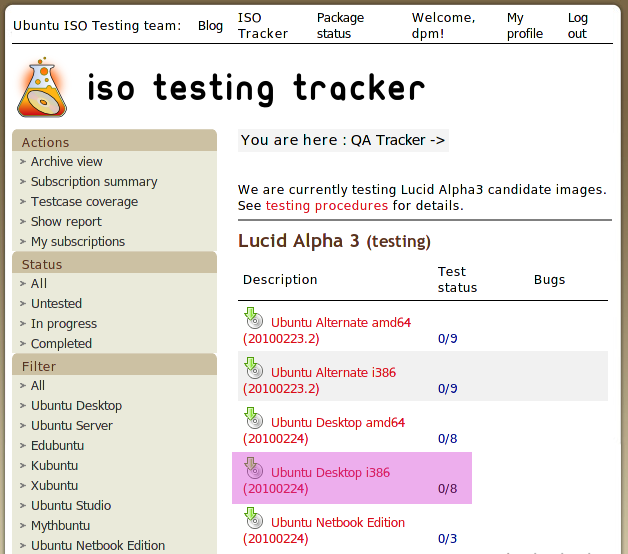 The Ubuntu Testing Team is currently testing Lucid Alpha 3 candidate images. This cycle we have a brand new set of localization test cases for everyone to check and make sure language support in Lucid is top notch, and we need your help! The first thing you'll need is an account at the ISO Tracker, which will allow you to record your tests and their results. 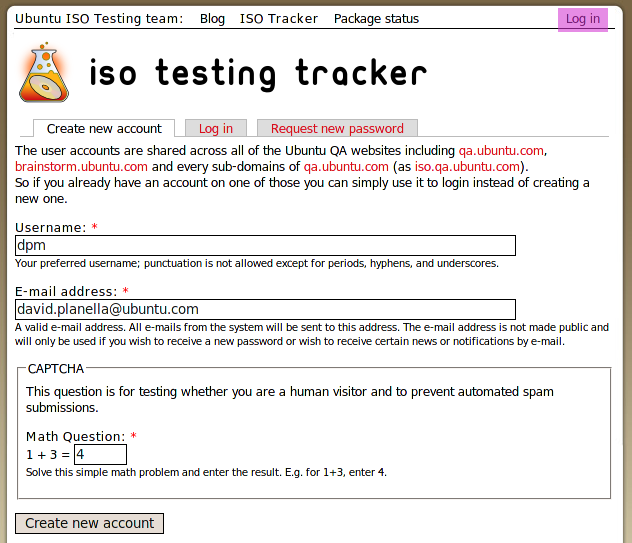 You can do this by simply going to http://iso.qa.ubuntu.com/ and clicking on the Log in link at the top right-hand side of the page. Then choose the Create new account tab, enter your data, and that's it! Almost immediately you'll receive an e-mail with instructions on how to do your first log in, which will simply involve logging in with the generated password, changing it, and then being ready to roll. You can click on any of them and start testing straight away. Each one has a link to the steps to follow for this, which will guide you along your testing journey. Although it is encouraged to run the test cases on real machines to test the real hardware, it might not be that applicable to localization, so you can also use a virtual machine. The ISO Testing wiki has got a wealth of information on testing procedures. You should definitely check out and install Test Drive, which makes the procedure of downloading and testing the images in a virtual machine a bliss. So at this point you've finished running a test case, and you are done with the hard part. But that wasn't that hard, was it? Now comes the important part in making your test useful for the testing team and developers: reporting on the outcome of the test. You'll see that below the test case you've just completed there are several fields to make this easier for you: you can say whether the test passed, failed, whether you have started it, etc. 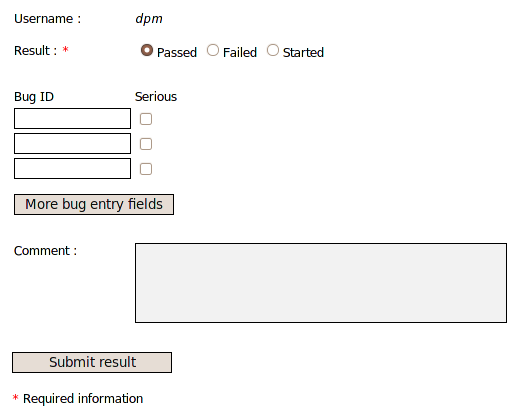 Other important fields are those where you can add comments and links to bugs related to this test case. If you've encountered a bug, you can file it against the Ubuntu Translations project in Launchpad. You'll find more information on the Testing space in the wiki. So these were the steps to help making Lucid also a solid release on translations. If you need any help, would like to comment on the test cases, propose new ones, etc, simply get in touch with us and we'll be more than happy to give a hand. Let's make Lucid translations rock!